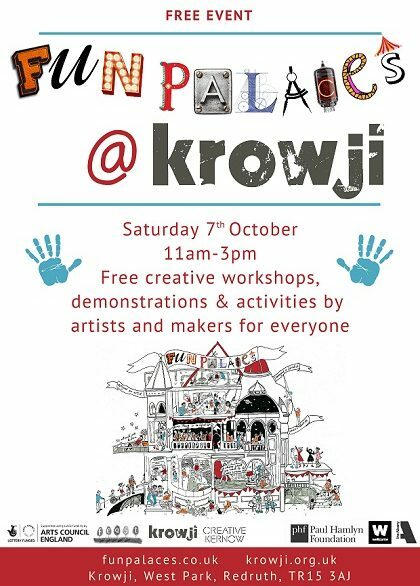 Fun Palace at Krowji was part of Fun Palaces 2017, a free, international celebration of community, bringing people together with arts, science, crafts and technology, taking place on Saturday 7th October 2017 11am-3pm across the UK and globally. 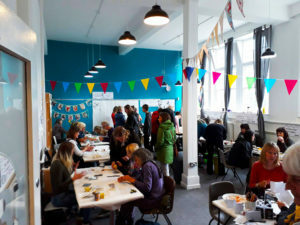 In 2017, on Saturday 7th October Fun Palace at Krowji hosted activities, workshops and demonstrations led by 17 of the artists and makers based at Krowji. Visitors of all ages and abilities had the chance to interact with artists, learn techniques and try out hands-on activities. The Melting Pot Cafe was open throughout the event, serving refreshments. In total Krowji received over 250 visitors for this event, all immersing themselves in artistic investigations, interactive creative activities, craft workshops and technical demonstrations, based on the science of creativity & the art of science! The activities and demonstrations ran throughout the day 11am-3pm. The event was FREE and there was no need to book for these drop-in activities. 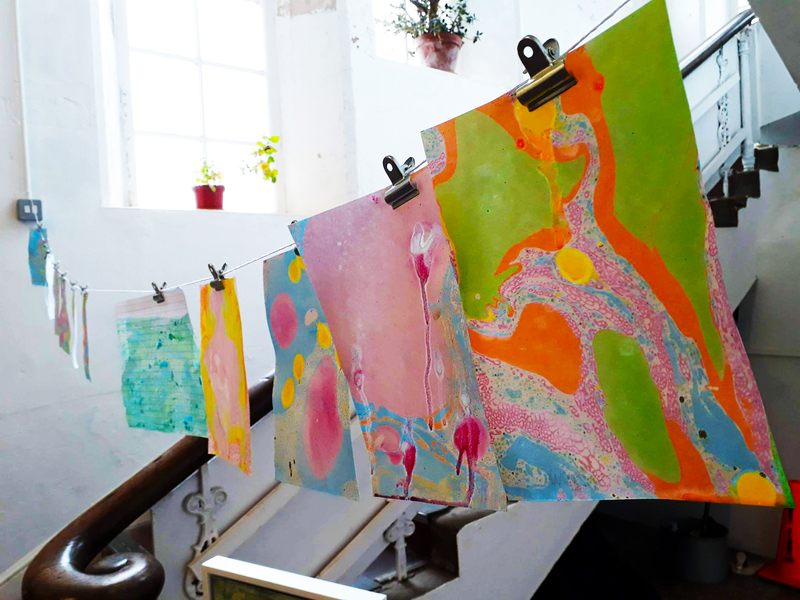 Artists and makers shared their skills, stories and creative secrets, including jeweller Nicola Bottono who showed visitors how to apply texture and colour to metal; Sarah Cooling who experimented with paint and screen-printer Paul Bawden who let visitors have a go at pulling their own print! Design a moth to sew with Marie Magor textile artist, investigate ‘Why things Glow in the Dark?’ with Signs and Wonders, discover shadow, space and form with Vanessa Penrose or examine the cells in our bodies with Bettina Holland using Felt Making. 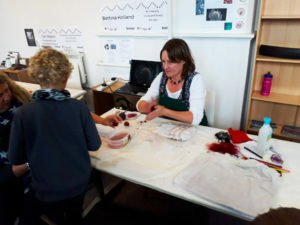 Visitors could turn their hand to other materials and try out jewellery techniques with Hayley Agar and Sinead’s Silver Design, marbling with artist Lesley Plumridge, or scientific processes on organic matter with Toni Mason. Our Fun Palace guests could join mixed media artist Vicki Aimers making books inspired by female astronomers of the past, help Lizzie Stevens bring free-spirited plasticine people to life and watch glass artist Naomi Singer create winter decorations. 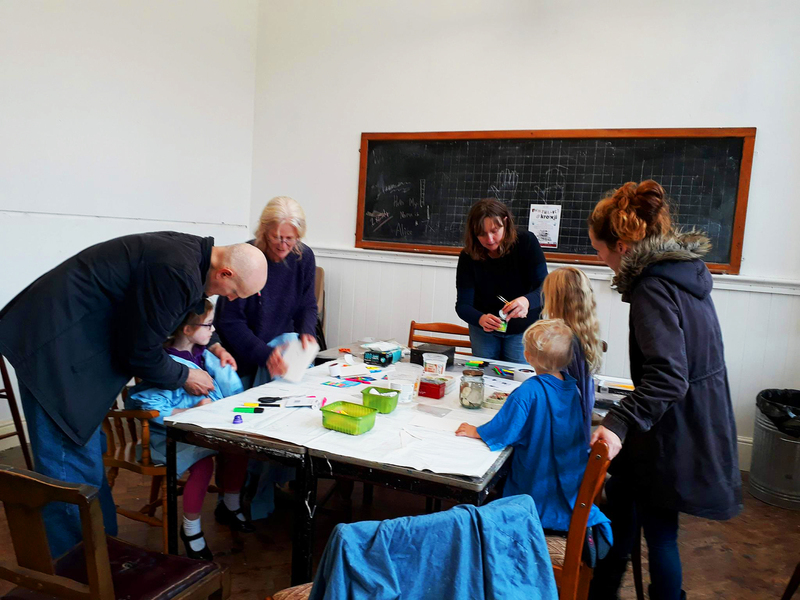 You could also take a closer look at the world around you; watching the techniques of still life painting with Colin Brown; drawing seasonal plants from the nature table with artist Melanie Johns Overlap and helping Illustrator Tangled Peacock create an enormous nature doodle!